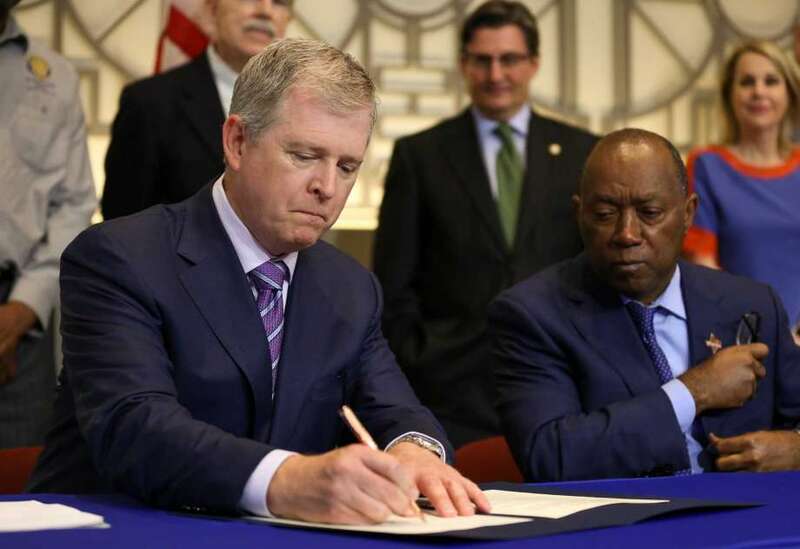 Calling a planned high-speed rail connection to Dallas “an idea whose time has come,” Houston Mayor Sylvester Turner signed an agreement Thursday with the bullet train’s backers that both sides said is the first of many steps to making the trip a reality. “This is the starting point to begin the process of definitive agreements,” Turner said, underscoring that the agreement between Houston and Texas Central Partners lacks specifics but commits both to cooperate on a project both want built. Before a formal signing ceremony at City Hall, the city and company said the memorandum of understanding commits both sides to share environmental surveys, utility analysis and engineering related to the project and surrounding area. It also calls for them to work together to develop new transit and other travel options to and from the likely terminus of the bullet train line.